Why did I see this film? 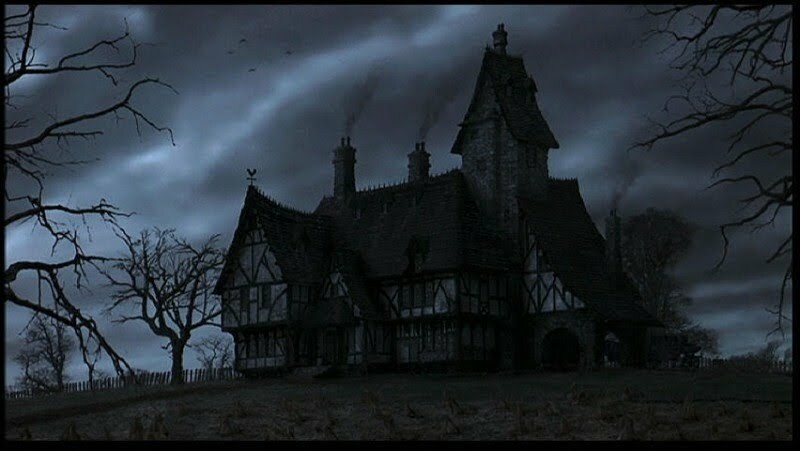 Well, it’s a famous modern horror flick touted as having a stunning atmosphere and evocative visuals, plus it’s a Tim Burton film and I’d never seen one before. I’ve lately discovered that Johnny Depp is a kind of cool actor and wanted to see him again. Oh, and shallow as it may be, the cover art of the DVD is gorgeous. I wish all my films had covers like that. First, the accolades. Even if you don’t like the movie, be sure and watch the making-of featurette – it really brings home the amount of effort the design team put into this thing. You’ve got to admire the ways they got around Christopher Walken’s bad horsemanship and how they designed such realistic heads for such unrealistic decapitations. It’s really a marvel of engineering. The visuals and resulting stylization are stunning. Some of it is influenced by classic Hammer Horror films, some by Pre-Raphaelite paintings (notably where it concerns Christina Ricci’s character) and some by steampunk (Johnny Depp’s gadgets and his London window – I could have used more of that influence, actually). There are also some cartoon influences, but I’ll come to that later. Much of the first half of the film is exquisite in design whilst the second half mostly takes place in the Western Wood and isn’t half as cool to look at. 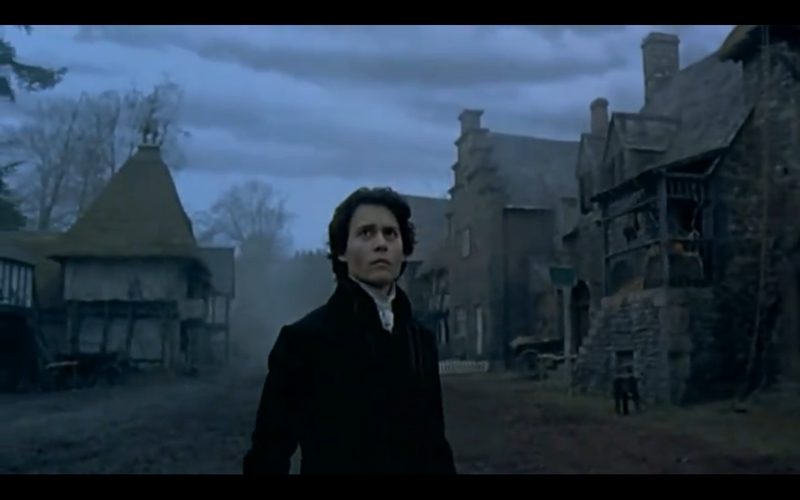 The town of Sleepy Hollow is an architectural mix of old New England and Lovecraft (the buildings convey that wrongness of aspect which Lovecraft found frightening – see The Dreams in the Witch-house for an example). Sleepy Hollow was nominated for cinematography, costume design and won for art direction. It’s not hard to see why. The cast is usually first-rate. The heads of this Dutch village are played by an ensemble of rough old men, led by Michael Gambon as the genial landowner Baltus Van Tassell. The others are Michael Gough, Jeffrey Jones, Ian McDiarmid and Richard ‘Vernon Dursley’ Griffiths. All are fine actors and form an instant highlight to the film. Christopher Lee gets a cameo and Christopher Walken gets false teeth, false eyes and no dialogue outside of a bloodthirsty yell but still manages to deliver what you could call “acting” in spite of his action figure role. Impressive. The women are the weak link. Miranda Richardson hams shamelessly in the last act and Christina Ricci conveys neither love in her scenes with Depp nor grief and horror as the darkness grows. She looks the part but her acting’s flat. Also I kept waiting for something interesting to be revealed about her character, Katrina. Oddly, there are no plot twists concerning her and though there are hints that she’s worried for her soul on account of practicing witchcraft (always asking Depp if he thinks she’s “wrong” or “wicked”) this is never followed up on either. It seems I haven’t even summarised the plot yet. 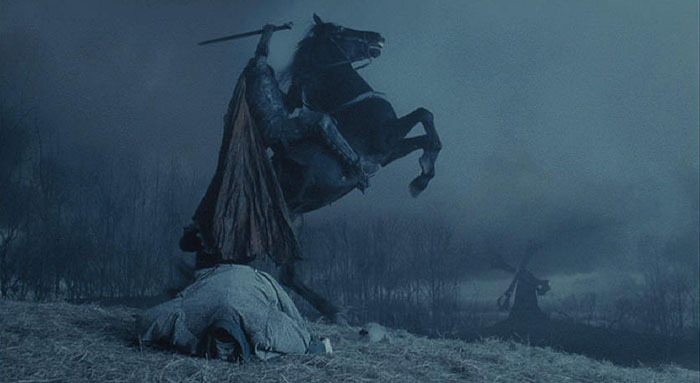 Sleepy Hollow has its own serial killer, the Headless Horseman. New York sends featherweight rationalist Ichabod Crane (Depp) out to solve the crimes, but what he finds are supernatural monsters and a town in the grips of a conspiracy. Bloodshed ensues. The film claims to be based on Washington Irving’s classic American story The Legend of Sleepy Hollow but like Dorian Gray and Dr. Jekyll/Mr. Hyde, the Headless Horseman has transcended its origins and become a myth. Most people don’t associate it with Washington Irving and it’s certain that the filmmakers didn’t – they associated it with tales that had scared them as children. To complain about the unfaithful adaptation is to miss the point: Tim Burton and his cohorts didn’t care about Irving’s story and that wasn’t what they were adapting. They were adapting the myth. Back to the actors… Johnny Depp puts in a fine performance as an enormously sympathetic hero. He’s delicate, afraid of spiders and finds bodies gruesome. He does not want this decapitation assignment but he’s stoic in the face of it, he keeps his lunch down, faints but doesn’t scream and continues in his work with unwilling determination. 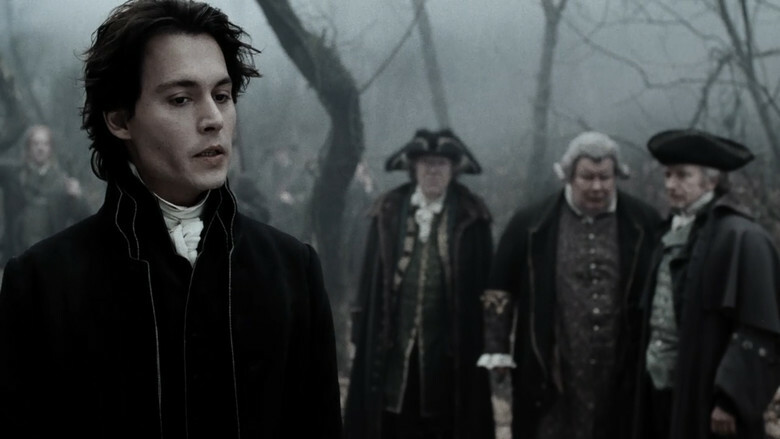 It’s hard not to like this Ichabod Crane and Depp’s to be commended for not going over the top in even the most outrageous scenes. He wins Best Actor award in this film. It sports a comedic style that veers back and forth between ghoulish but juvenile humour (unlike Burton, I don’t find blood squirting into Depp’s face to be a barrel of laughs) and effectively oddball scenarios (favorite scene in the whole movie is after Depp has first seen the Horseman. He’s in shock and telling the townsmen about this unbelievable sight. They don’t react because they already believe it. Gambon deadpans, Depp cowers and the result is hilarious). So, it’s shaping up to be an excellent film, almost equal to the hype and then it happens: Sleepy Hollow hits a snag, jumps the shark and brings the formerly magnificent edifice crashing down, a fine film buried in the rubble. 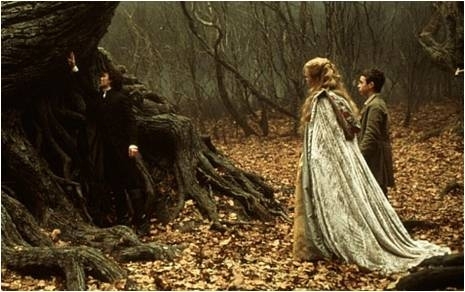 Ichabod and his intrepid sidekick Young Masbath (Marc Pickering) meet the Witch of the Western Wood, whose face is covered by a veil. Horror isn’t my genre and even I could tell what was coming. This is called a ‘jump scare’ and in this one the witch’s veil is ripped aside and…her face goes goblin gray, her hands turn blue and her eyes pop out of her head and slither away. Let’s leave behind the sticky question of “believability” in a fantasy movie and talk about aesthetics. That’s the kind of face you’d find in a Saturday Morning Cartoon, not in an elegant gothic horror story…which is what this purports to be. That scene is the moment it became clear to me that Tim Burton has no concept of subtlety. Where it concerns horror, I firmly believe that the best of it is implied. Wouldn’t that witch’s face have been scarier if it was a normal human’s just slightly warped? Like the architecture? Or if (as is shown later) she had a face like Miranda Richardson’s? What questions that would have raised! “Is Lady Van Tassell possessed by the witch? Is she related to the witch? Is there some other tie that connects them?” That would have ramped up the paranoia marvelously. Therein lies the problem which plagues this film. It’s a horror story but the horror doesn’t go to the really dark places – it stays “out there,” out in the bad, dark forest. Rather than being impaled and dragged out of his church sanctuary for a beheading, wouldn’t it have been a much deeper horror to see the townsfolk drive out “the one the Horseman wants” in a frenzy of terror and appeasement? But Burton settles for cartoonish gore rather than stark and psychologically chilling scenarios. Case in point: Ichabod’s dream sequence about the boy and his parents. We see the mother taken by the father into a chamber which contains an iron maiden and she doesn’t come back out. It is instantly clear what her fate has been and that is more than terrifying enough. 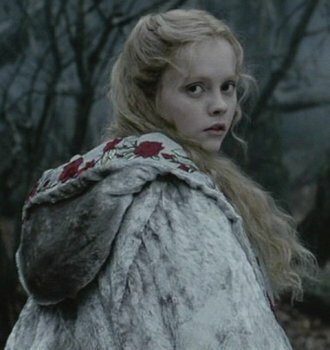 Burton wrecks this scene by trying to top it – so the door of the device opens and she falls out in a waterfall of blood. The effect was destroyed and I grimaced both at the obvious shock-manipulation of it and at its inaccuracy. Iron Maidens come with drains, moron. Now someone’s gonna pipe up and ask why I’m complaining about lack of realism in a film about a headless horseman. Well, suspension of disbelief is never total. I accept the Horseman, I gamely accept witches when they appear, I accept and am quite grateful that the beheadings aren’t realistic but these are major details. To make them work, the small details that are not pivotal to the plot must hold up. They’re as important as making sure the Horseman is correctly proportioned and no, the Iron Maiden and the witch’s face don’t work. They’re cheap. So are the corpses that disobey natural laws (they don’t decay and the blood stays continually under pressure in them just for splatter effects). Cheap manipulations are the worst and the film takes a lot of hits from that angle. By this late point in the film, subtlety and creeping dread are long gone from proceedings and with the true villain’s reveal it takes another turn for the worse. What with mad chases through the forest, coachtop wrestling and an exploding windmill, what had begun as gothic horror finally dissolves into a supernatural action flick. Pretty disappointing. I’m probably the only person in the world who’s ever complained about that but at least I’m not alone in disliking Danny Elfman’s brashly manipulative score. 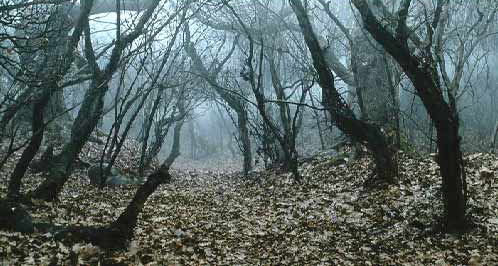 So, what scene really delivered the scares for me, since trees that bleed, severed heads, chases and BOO! style witches didn’t do it? Following Ichabod’s autopsy of the widow he comes before the townsmen and tells them that she was with child and that I found genuinely affecting; that hit me emotionally and gave rise to enough questions about the parents and the killer that paranoia naturally arose. It made me shiver with horror and fearfully speculate. Similarly, the finest moment of the grotesque was comparatively mild – the restored Horseman delivers a kiss to his tormentor that is incredibly gruesome, outdoing all of the previous carnage put together (obviously, as I still shudder to think of it). I could continue my complaints, but I think it would dissolve into nit-picking if I start in on a bit of clunky dialogue and a plot hole or two. 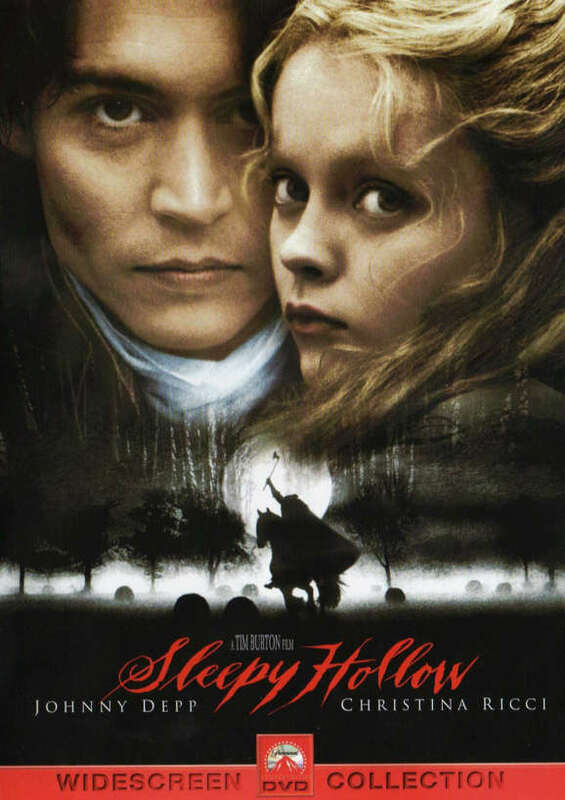 I found more flaws in this one than I could stand, but I will suffice to say that there is a brilliant film lost in Sleepy Hollow and that for its best actors, best visuals and its really fantastic premise, I’ll rate this film 2 1/2 stars and regret that it wasn’t better. Am I keeping the DVD? Not at all. I don’t ever need to see this one again.